The world’s first and only DICOM-calibrated portable workstation. Created by a radiologist for imaging specialists. Winner of the prestigious international iF Design Award. The world’s first portable DICOM calibrated medical image display – MED-TAB. View, analyze, send images anytime, anywhere. Medical imaging professionals are now free to work beyond the confines of a darkened room, confident in the knowledge of standards-compliant quality and taking no risks with viewing conditions. In MED-TAB, PLUM Medical Solutions, a new company dedicated exclusively to innovation in medical imaging, has created a unique and patented product for today’s changing world. A game-changer in teleradiology and portable imaging. Read more about how MED-TAB solves pain points for imaging professionals in this whitepaper. Hospitals can use MED-TAB for bedside diagnostic image viewing in emergency room and in intensive medical care units. Imaging departments can use MED-TAB for remote analysis, distributed radiology demonstrations, and for peer-to-peer review. MED-TAB can be accessed via a diagnostic app called PORT-RAY, via cloud or web portals. On-call physicians can rely on MED-TAB™ for quick access to images from anywhere on-demand. 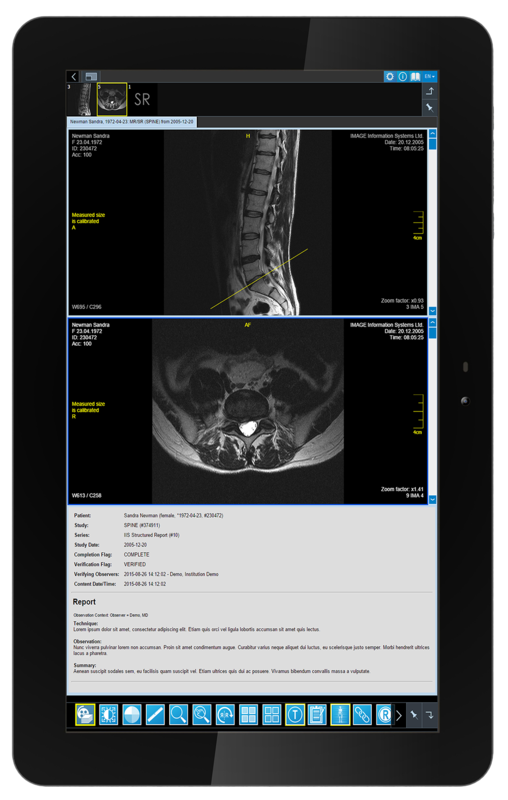 Is available with the zero-footprint HTML5 DICOM viewer iQ-4VIEW or the Android App PORT-RAY (sold separately). using HTML5 zero footprint technology. 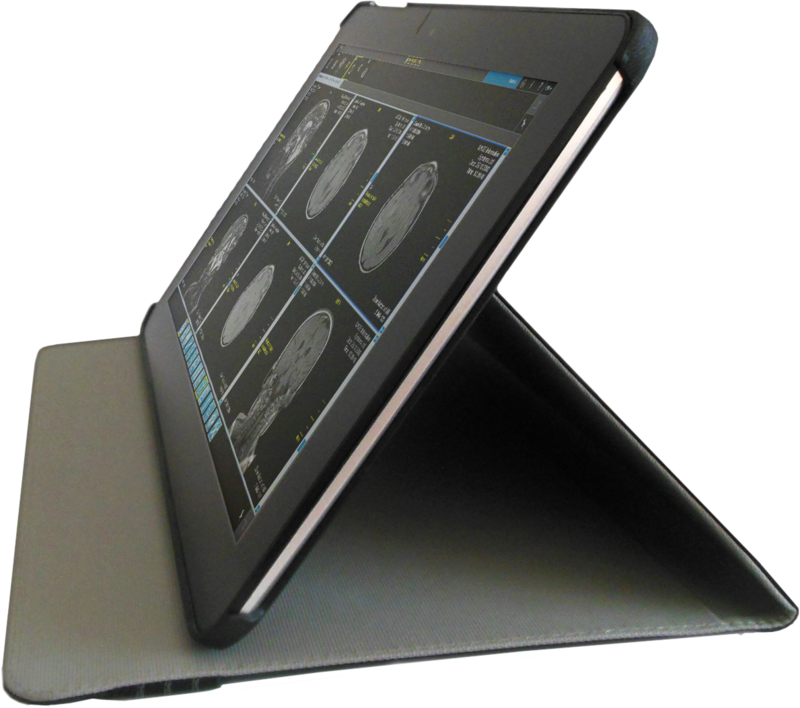 Nearly all PACS functions, like zoom/pan, comparisons, measurements, 3D reconstruction, etc., are possible – from anywhere – with this DICOM-enabled pad. MED-TAB is the work of a team of innovative experts across the medical imaging industry, including physicians and radiologists. 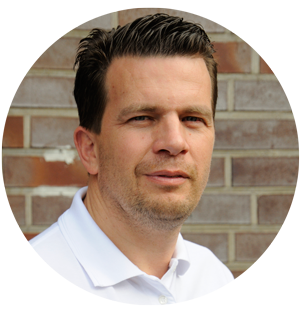 After 15 years of experience in reading medical imaging studies, Dr. Arpad Bischof realized he could do his job more efficiently if he had access to mobile technology with the right software. Arpad and his team at PLUM Medical Solutions implemented a plan that would allow him and potentially other physicians to study medical images in high-quality on a DICOM-enabled portable device. 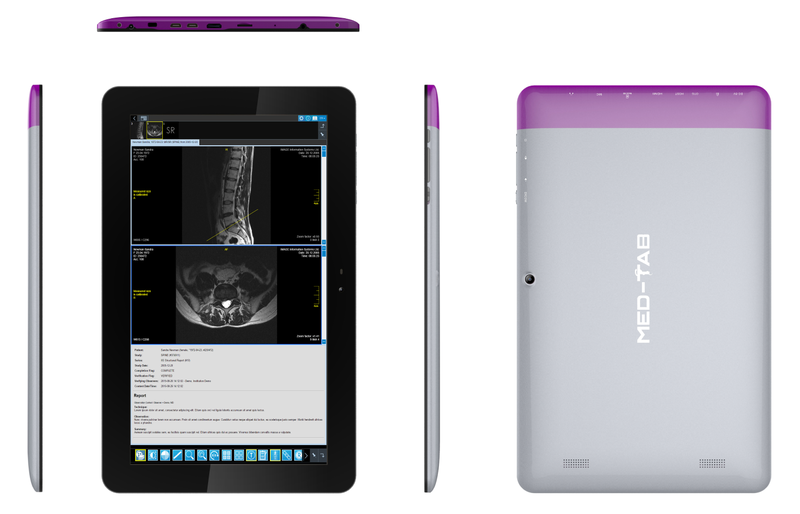 The end result is MED-TAB, the world’s first portable medical imaging workstation. 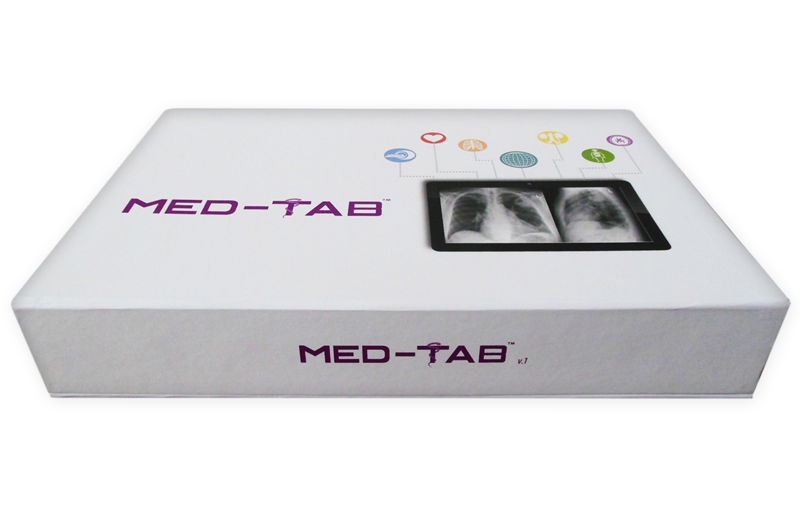 Experience MED-TAB in person at RSNA, Arab Health and ECR! Plum Medical Solutions has received 510(k) clearance from the U.S. Food and Drug Administration (FDA) for an upgraded version of its MED-TAB portable medical imaging workstation.